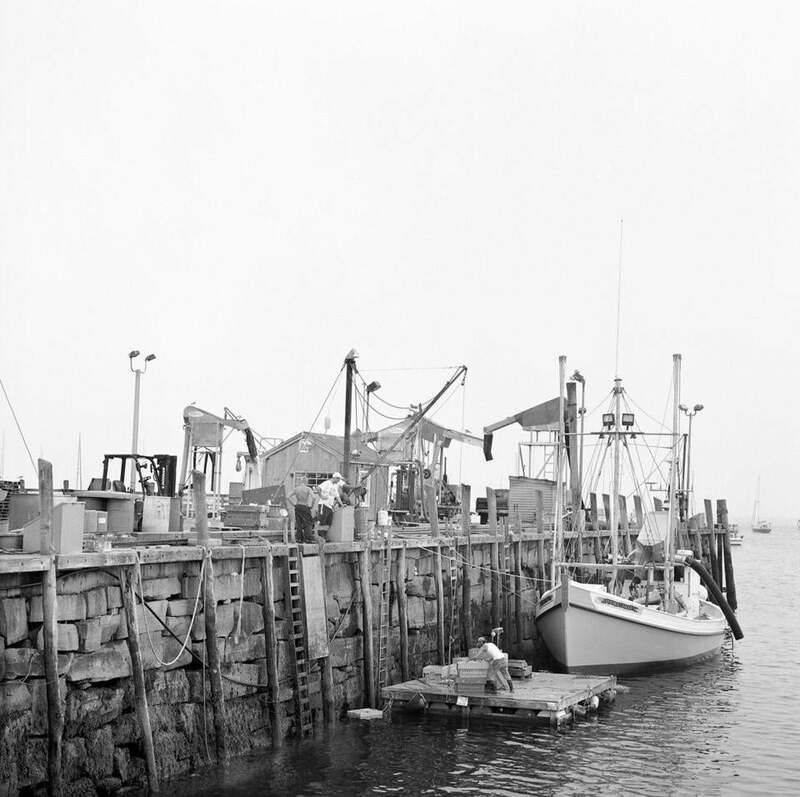 Commercial fishing and lobstering are big business on Rockland’s waterfront. The old saying, “Camden by the sea, Rockland by the smell” may be largely an echo of the industrial past, but the rock city’s hard-working pride remains. While nearby Camden was a playground for rusticating blue bloods, Rockland was built on blue-collar industries – shipbuilding, granite quarrying, lime production, and commercial fishing. But the city is in transition. Lobstering is still big business, and a seaweed-processing plant runs day and night, but these days moorings are full of wooden sailboats and once gritty Main Street overflows with wine bars, art galleries, and fancy coffee shops. Posh as the city has become, the waterfront is still a working one, and even in line for an espresso rubber boots tend to outnumber high heels. A great place for a couple to escape. graniteinn.com, rooms range from $85-$115/night during the off season), located across the street from the ferries to Penobscot Bay Islands. Rooms come with a hearty breakfast, free WiFi, and some ocean views. In need of more pampering? The Samoset Resort (220 Warrenton St., Rockport 800-341-1650, www.samosetresort.com), reopens for the season April 27. Rooms start at about $150 a night) is just outside of town and looks out on the Rockland breakwater and the islands of Penobscot Bay. Here you canbask in the spa, play golf, and snuggle under down comforters. maine.com), a local favorite, is comfortable and elegant, with sofas and coffee tables, low lights, rustic farmhouse tables and a full bar. Chef Melody Wolfertz’s seasonal small plates include deviled eggs, local cheeses, charcuterie, and handmade pasta. 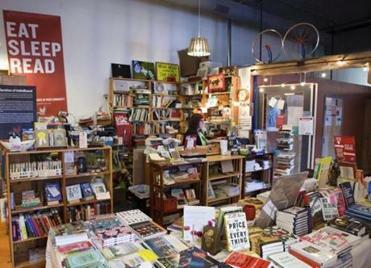 Hello Hello Books sells new and used books, magazines, gifts, and vintage items. .net) carries an assortment of jewelry, pottery, fine art, and crafts by local artists and books by local authors. Part of the profits help sustain working island communities. A shop full of eclectic clothing and shoes for men and women, Black Parrot (328 Main St., 207-593-9370, blackparrotmaine. blogspot.com) also specializes in Japanese home goods, mid-century furniture, Tivoli audio, Intelligentsia coffee, fashion and design magazines, and books. A stylish upscale women’s clothing boutique, Four Twelve (412 Main St., 207-596-2412, shopfourtwelve.com) offers home goods and jewelry to boot. Hello Hello Books (316 Main St., 207-593-7780, www.hellohellobooks.com) has a carefully curated inventory of new and used books, local books, hard-to-find magazines, gifts, and even a few vintage items for sale. Plop down on the store’s comfortable sofa for extended browsing. In the market for antiques or organic homemade soap? Stop in at Trillium Soaps (216 South Main St., 207-593-9019, trilliumsoaps.com). No visit to the area would be complete without a visit to The Farnsworth Art Museum (16 Museum St., 207-596-6457, www.farnsworthmuseum.org, adults $12, seniors and students 17 and older $10, under 16 free), which features contemporary American paintings and photography. Upcoming exhibitions include “The Homestead Project,” and “Jamie Wyeth, Rockwell Kent, and Monhegan.” Worth it for the ride alone, take the boat to Vinalhaven. The ferry, operated by the Maine State Ferry Service (517A Main St., 207-596-5400, maine.gov/mdot/msfs/vinalhaven.htm), runs daily. A round-trip ticket costs $17.50 per adult on foot. On the island there are several parks and recreational areas, many a short walk from the ferry terminal. Locals looking to swim or sunbathe head to Lawson’s or Booth’s quarries, both abandoned granite quarries filled with clear spring water. Lane’s Island Preserve offers an idyllic landscape of moors, open fields, granite bluffs, and tidal beaches. .com) may have marked the beginning of Rockland’s renaissance. Go to see independent films, live music, opera, and lectures. Beer and wine bar for special events. Also a major venue for The Camden International Film Festival in October. For a nightcap head dockside to the Mermaid Lounge (Middle Pier, 207-596-5660, www.mvmonhegan.com). The floating bar lies aboard the MV Monhegan, a converted Maine State ferry, where Captain Ray Remick charters cruises day and night and serves up food and drink when tied to the dock. Reservations recommended. Jonathan Levitt can be reached at www.jonathanlevitt.com.